At Sorensen Homes, we will work with you to design a space that fits your lifestyle, your family and your budget. A renovation will take your space to a whole new level of enjoyment, and everything will be the way you want it. 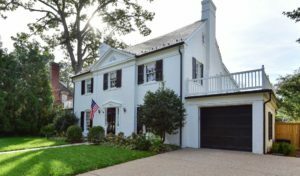 With deep roots in Northern Virginia that extend back over more than a half century, we have built our reputation on working closely with our homebuyers to create exactly the homes they desire. You can be confident that your total satisfaction is our highest calling.